revealed when the person smiles. 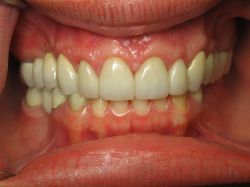 The surgery is usually performed when the teeth are prepared for the crowns. 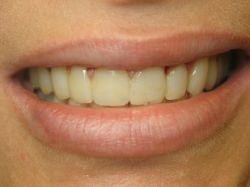 The person is sent home in acrylic temporary crowns and allowed to heal for several weeks, perhaps as much a two to three months, depending upon their unique case. 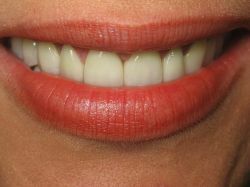 After the tissue has healed, the permanent crowns can be put on. 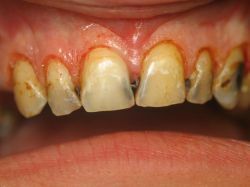 In a true cosmetic case, the crowns should be All Ceramic Crowns for the best outcome.